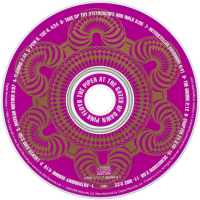 05) Pow R. Toc H.
The Piper at the Gates of Dawn is the debut album by English rock group Pink Floyd, and the only one made under founder member Syd Barrett's leadership. The album contains whimsical lyrics about space, scarecrows, gnomes, bicycles and fairy tales, along with psychedelic instrumental songs. The album was initially released in 1967 by Columbia/EMI in the United Kingdom and Tower/Capitol in the United States. Special limited editions were issued to mark its thirtieth and fortieth anniversaries in 1997 and 2007, respectively. In 2012, The Piper at the Gates of Dawn was voted 347th on Rolling Stone magazine's list of the "500 Greatest Albums of All Time". For all who know the tragic story of Syd Barrett’s meteoric rise and fall in the world of art rock, it’s generally agreed that, between the first psychedelic strains of “Arnold Layne” and the mumbled torture of “Late Night”, his creative zenith was The Piper At The Gates Of Dawn. 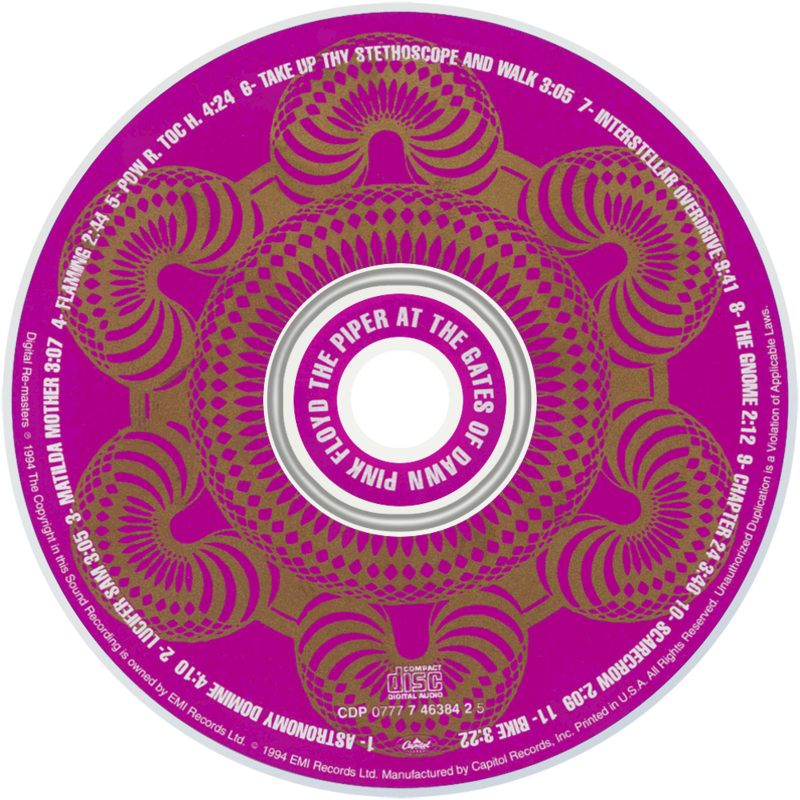 Recorded in the run-up to the Summer Of Love in a studio next to the one where the Beatles were putting the finishing touches to Sgt Pepper, this album remains a pinnacle of English psychedelic music. It’s filled with the child-poet musings of a mind not yet oppressed, but free to wander between fairy tales and cosmic explorations and still be home in time for tea. Born to the tail end of the blues boom, Syd’s Pink Floyd (originally the Tea Set), were tailor-made for the nascent underground. Free from a (visible) desire to make with the chart success (man), they also had the requisite backgrounds to get them in on the ground floor with the middle class tastemakers. Along with the Soft Machine they forged their sound - stuttering swooping telecasters and eastern-tinged organ wig outs over hypnotic beds of rhythm - in the clubs of West End London. By this point they had wooed EMI into signing them and, following the bad sales ploy of having their first single, “Arnold Layne” banned as it reached number 20, they finally struck top ten territory with “See Emily Play”. It was lucky that, by this time, the album was mostly completed, because it was this sudden propulsion into the limelight that was to prove poor Syd’s undoing. Enforced ‘package’ tours with other chart acts (as well as the equally bemused Jimi Hendrix Experience) were to prove too much exposure for the deeply insecure artist. The first side opens with the outer space chatter of a thousand space missions intoning the names of the stars and we’re plunged in to a prime slice of mid-sixties freak-out territory. Syd’s guitar is fabulously lithe. There follows a series of tales of cats, silver shoes, unicorns, mice called Gerald, bikes, gnomes, scarecows and the I Ching. Sounds horrible, doesn’t it? But in 1967 this was fresh and new, and what’s more it’s delivered utterly charmingly and with no hint of received American pronunciation merely to be cool. It’s been said before, but this is Edward Lear for the acid generation. Then in the black hole between these tracks we get Syd’s other side, the shining, blasted sci fi tones of his guitar rumbling through the extended work out of “Interstellar Overdrive”.